4K TVs are definitely a hot gift for the coming New Year. But a big part of making the switch to a 4K TV is finding 4K movies and TV shows to enjoy. In fact, 4K movies and 4K TV shows are becoming more abundant in recent years. To save your time, we've done the looking for you! Before we get started, it's worth taking a few minutes to explain a few things about 4K and Ultra HD (UHD), two of the most popular terms in TVs right now. A 4K resolution is 4096×2160 pixels, while Ultra HD is 3840×2160, which means it's slightly narrower. There’s very little real-world difference, and both 4K and UHD will provide a noticeable improvement from 1080p HD. Ultra HD is also called 2160p. The Amazon Prime membership is good for a lot more than fast shipping. The service also offers unlimited streaming of movies and TV shows, including a selection of 4K movies and TV show. You'll just need the Amazon app on a 4K TV and then will see a dedicated menu for “Prime Ultra-HD TV” or “Ultra-HD Movies.” Of note is the fact that Amazon is filming its original content in 4K, which should lead to a growing 4K catalog over time. 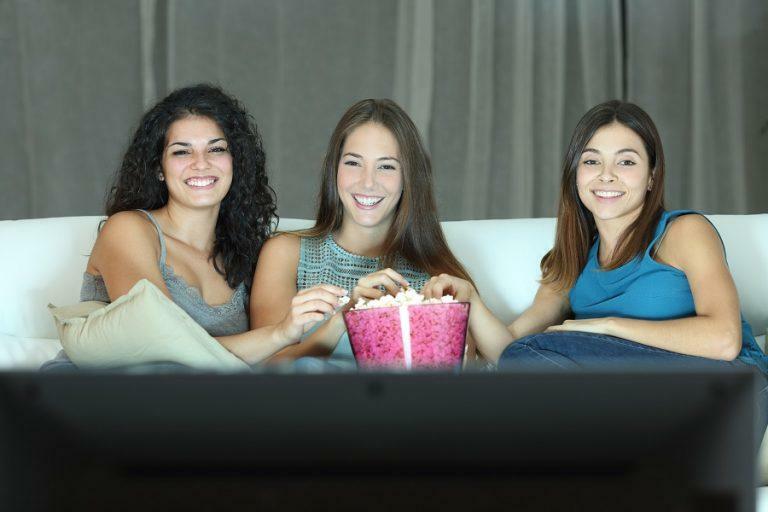 Dish Network also offers live and on-demand 4K movies and TV shows. You can find live 4K programming on any channel that offers it in your programming package. Dish also offers a variety of 4K movies on-demand, priced at $8 for rentals. And if you can’t find the 4K movies or TV shows that you’re looking for, the same equipment supports Netflix streaming in 4K if you have the correct subscription for it. With FandangoNOW, you can rent movies or purchase them as a download on select 4K TVs. 4K movies and some TV shows are available to stream on LG and Samsung 4K TVs or with the Roku 4. But this service's catalog of 4K TV shows is currently pretty limited. Please use about 10Mbps of dedicated bandwidth for a satisfying 4K streaming experience. For users with a Chromecast Ultra, or any other 4K-capable device with the Google Play Movies & TV app, you can access 4K movies and TV show right from the Google Play store. The 4K movies that Google offers use VP9 and are available for purchase in Google’s web or mobile storefronts. These movies can be streamed via a Chromecast Ultra, a Sony Bravia Android TV, or a Xiaomi Mi Box 3. Almost everybody has a Netflix account these days, but not everyone can stream 4K— you'll need to be a subscriber of their top-level plan, which will run you $11.99 (£8.99) per month. Like Amazon, Netflix films its original series in 4K. You can search for “4K” or “UHD” to find 4K movies and TV shows. Netflix advises users they need an internet connection of 25Mbps or faster and the streaming quality set to “high” for best results. Sony's PlayStation Video is supported by Sony's own 4K TVs and a variety of 4K Ultra HD TVs when paired with Sony's Ultra HD media player. The service enables you to purchase and rent a variety of 4K movies and TV shows with the media player, which boasts 1TB of storage. Renting will save you on storage space, though downloading will give you better picture quality. For Sony Bravia 4K TV, you'll want to check out Sony Ultra, the company's dedicated 4K streaming service. The service supports HDR10, and according to Consumer Reports, it has about 100 4K movies and TV shows. Please Note that this platform doesn't offer rentals, so you’ll need to purchase the content you want to watch instead. UltraFlix, which reportedly wants to be the “Netflix of 4K,” is an option if you want a platform that focuses specifically on 4K content. The company told Consumer Reports it currently offers more than 600 hours of 4K UHD content. Rentals cost between $1 and $10 and are available for viewing for 48 hours. Plus, UltraFlix also offers about 100 hours of free content. Vudu is also a great choice for getting current titles in 4K. (Only specific models of LG and Vizio 4K UHD TVs are compatible with the 4K HDR service. However, the non-HDR 4K service is also available on 4K Roku TVs, 4K-enabled Roku, Chromecast, and Nvidia Shield.) If you own a system that’s compatible with Vudu’s 4K service, you’ll get access to a great selection of top titles. In contrast with options like Netflix, Vudu is a pay-per-view service with options for rentals and purchases instead of a subscription service. You can rent 4K movies for $10 or purchase them for $25. YouTube is another long-standing source of 4K content. To stream YouTube videos, you’ll need to make sure your TV supports V9, the Google-developed compression codec that YouTube uses instead of the HEVC video codec used by most other streaming services. YouTube is free, but also offers YouTube Red, which is an ad-free subscription service that costs $10 each month. You’ll need to check that your specific TV supports the 4K version of YouTube’s platform. So users who always watch movies on 4K TV must be pleasant. You can watch movies on 4K TV via YouTube, Netflix, etc. Do you know how to play local movies on 4K TV via another way? USB or NAS, yes. This is a good way to. But, if you want to play all kinds of video files on 4K TV, you should know 4K TV doesn't support all the video types, such as MKV, AVI, MTS, MP4, Tivo, MOV, WMV, MTS, M2TS, VOB etc. If the video formats that you are going to stream or add to your 4K TV are not playable, just seek help with our powerful 4K video converter – Pavtube Video Converter Ultimate for Windows / Mac, which not only supports to unlock commercial Blu-ray/DVD disc to your desired file formats, but also does you a great favor to convert virtually any 4K/2K/HD/SD file formats to various different file formats or device preset file formats for you to transfer your USB drive or add to DLNA devices with no difficulty. To ensure you a better visual experience on 4K TV, you can adjust the output file resolution and aspect ratio to let the video fit perfectly on your 4K TV, or tweak the output video codec, size, bit rate, frame rate, audio codec, sample rate, bit rate or channels to achieve best video playback effect. Which video format is supported by LG TV?